For nonprofits, businesses, and municipalities! 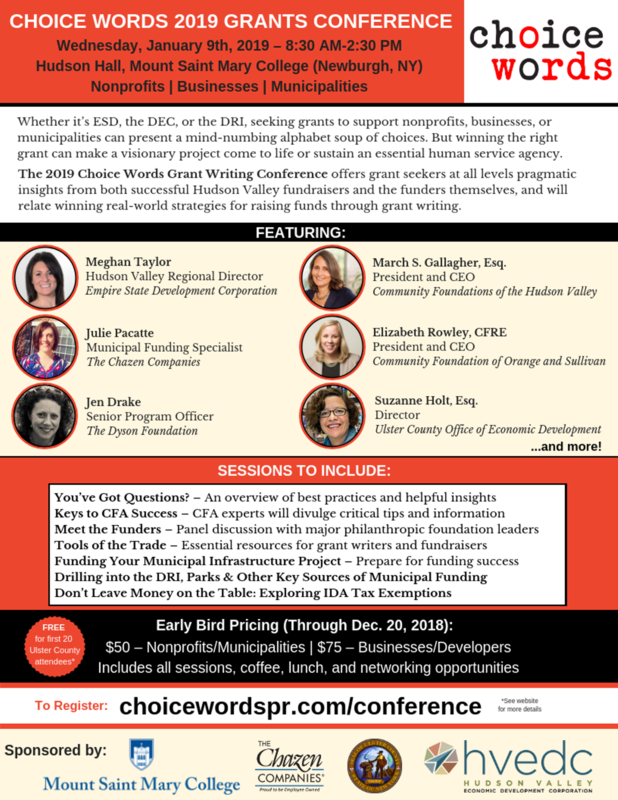 The 2019 Choice Words Grants Conference offers grant seekers in all industries, and at all levels, pragmatic insights from both successful Hudson Valley fundraisers and the funders themselves. Industry experts will relate winning real-world strategies for raising funds through grant writing.